Let us host your party, meeting or large group gathering. Our staff can help you build a custom package to suit your needs. 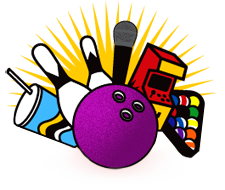 We can provide the atmosphere with music and bowling lanes and catering.